As the off-grid movement battles for recognition of this way of life, it all comes back to land ownership, and the empty building land held by speculators and developers with no thought to the good of society as a whole. 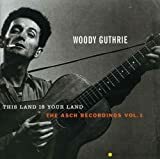 As house prices collapse back to where they should have been all along, and the banks look for new ways to take our money, its timely to remember the words of Woody Guthrie’s immortal song This Land Is Your Land . Wikipedia says Guthrie was a “first-hand observer of the economic and environmental hardships of the Dust Bowl era, and became known as the Dust Bowl Troubadour”. The Dust Bowl may be coming back very soon.